Alpine Pools – Western Pennsylvania's Pool and Spa Dealer » Buy, Sell or Trade your Hot Tub or Spa. 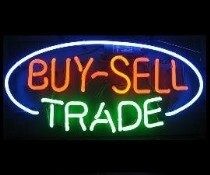 Buy, Sell or Trade your Hot Tub or Spa. Now is the time to make a move with your current hot tub. Come to Alpine Pools and trade it in on a new Artesian Spa, Mira or Mira Hot Tub. Perhaps you are moving and need to sell your spa. Please give us a call. Why not save money and buy used? We usually have pre owned tubs in stock.